Welcome to Southeastern Galleries – a premier Charleston Furniture Store. We are one of the oldest and most respected Furniture stores in Charleston, SC. Please visit our showroom in lovely West Ashley, just off of I-526. It’s moments from downtown Charleston, as well as Summerville and Mount Pleasant. One of the largest selections of sofas, sectionals, love-seats, recliners and with more than 200 chairs alone. Pieces representing low, medium to high price ranges, antiques to modern designs with several thousand fabrics. All for you to see, touch, and try. Southeastern specialty in custom orders, sale prices, and four to eight week delivery. One of the most complete departments in the Southeast with some 60 different dining chair designs to see and try. Kitchen, casual, family, formal in designs from the latest modern to the finest 18th Century reproductions. One of the few shops to offer small chinas to breakfronts. Every type server, buffet or sideboard with some 44 different tables to choose from ranging from $500 to $5,000 and more repressing breakfast to conference tables. 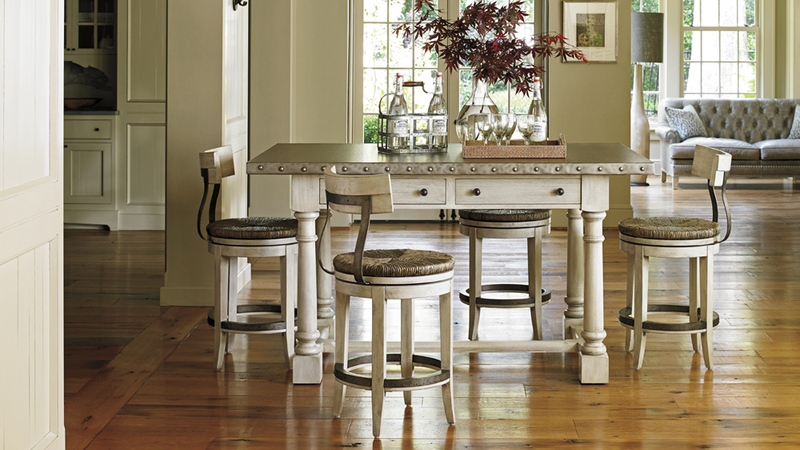 Bar, pub and bistro tables with the widest variety of counter and bar stools. At Southeastern, you’ll find contemporary, tufted, upholstered, canopy, sleigh and traditional bed designs. There are brass, metal, and mirrored beds. In addition to Charleston’s traditional homes, we cater to the resort, island and condo markets. We are the headquarters for Charleston’s famous “Rice Bed” which is surprisingly a “Best Seller”. If you are looking for a unique, exotic, and exclusive bed, try us. 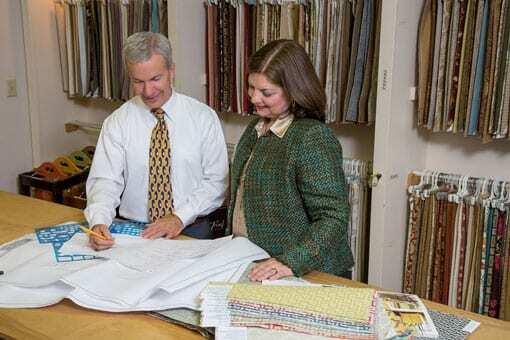 Southeastern Galleries prides itself on carrying high-quality brands for your home. We carry brands like: Nourison, Currey & Company, Harden, Chaddock, and many more. Click to view additional details about the brands we carry. A fourth generation member of the Southeastern Galleries family, Randolph Cooper grew up immersed in his great-grandparents’ vast knowledge of fine design. Dinner table conversation included the names Adams, Wedgewood, Chippendale and other staples of the industry…. I have been looking for a leather sofa for quite some time. As soon as I entered the doors of SE Galleries, designer Randolph Cooper greeted and welcomed me into the store. I told Mr. Cooper what I was searching for, and within minutes he showed me the perfect sofa for my family room. He was in no rush to "close a sale"-he sat down and we talked about anything and everything. It was very obvious to me that Mr. Cooper loves his job and he loves helping people find just the right piece or pieces of furniture for their homes. My experience at SE Galleries was one of the most pleasant shopping experiences I've had in quite some time-Thanks, Randolph! We originally wanted to redecorate our den, but the experience was so great we also redecorated our living room. Randolph is so talented, he made the experience so easy. Redecorating can be so overwhelming, it was such a pleasure to have someone" hold" my hand through the procecess. I would recommend Southeastern galleries to everyone, they are able to work with all budgets. Looking for great customer service, then look no more. Southereastern Galleries provides unparallel customer service even when an unexpected problem arises. From designers to delivery service you can’t find a more professional and dedicated team. After we discovered a manufacturing problem and having no resolution with the manufacturing representative, Mr. Rick Cooper of Southeastern Galleries declared, “that’s not how we handle our customer service” and in no time at all our problem was resolved. Almost unheard of today! We look forward to many more years of shopping with Southeastern Galleries.